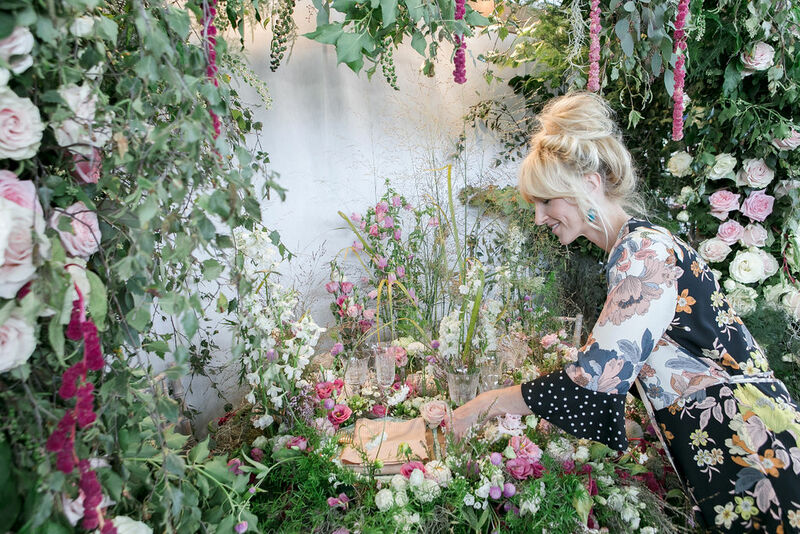 “I love to create,” says Victoria Vaught, founder of Ivy Amelia Florals. But in business, our creations are usually subject to a client brief. It’s a complex creative process and one that fascinates me with its subtle twists and turns. We are hired for our skill, our talent, our vision. But we mould that vision to sync with our clients’ own expectations, budget and constraints, and amaze and delight them with our ability to do so. The aim, of course, is always to create something better than they could have imagined, but also exactly what they wanted. In a styled shoot, wedding industry suppliers collaborate to produce a body of photography that best showcases each participant’s offering. Alone, I couldn’t justify the cost of producing a shoot in a beautiful venue with models, hair, make-up, dresses, venue, food, stationery, props…all to bring to life the story behind an illustration. Yet a styled shoot, often spearheaded by a photographer and one other supplier, allows everyone to benefit from each other’s contribution, make industry connections, and hopefully have the shoot published on a bigger platform to a wider audience that any of us could reach alone. The media platform receives great content. The reader sees inspiring images and gains introductions to suppliers they may wish to book for their own wedding. It’s also an opportunity for each supplier to experiment a little with their signature style, without the pressure of having a client on the receiving end. Everybody wins. I saw behind-the-scenes snaps of Lisa Payne Photography’s “Lady of the Manor: A English Love Story” shoot in progress on my Insta and Facebook feeds. 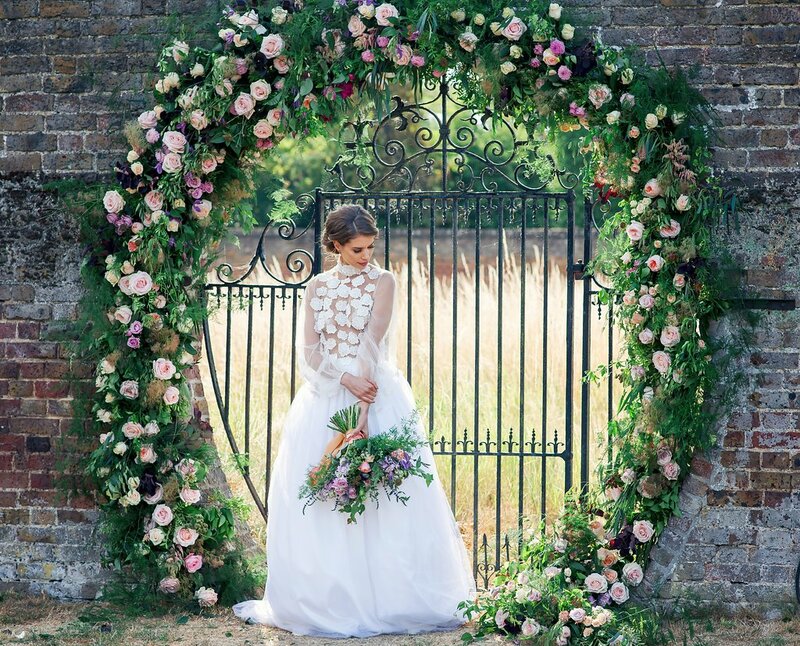 I was surprised how strongly Victoria’s florals impacted me, in their unusual rich palette and a striking balance of artisan wildness and glamourous abundance. Lisa offered me the opportunity to join in the portfolio with an illustration inspired by Vic’s floral design in the shoot. The drawing process was a joy, because I felt so free to draw with a wealth of inspiring images in front of me, but no real restrictions on the outcome. I switched out the golden urn for flower stems without an approval process, on a whim, because I was more attracted to the natural green tones. 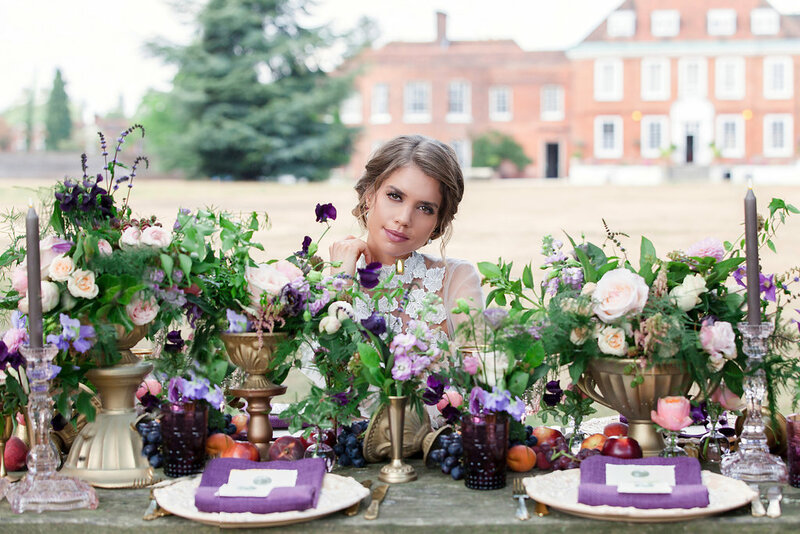 Grateful to photographer Lisa Payne for the introduction to such a talented floral designer, I then asked Victoria about her creative process and her involvement in the Lady of the Manor: An English Love Story shoot. 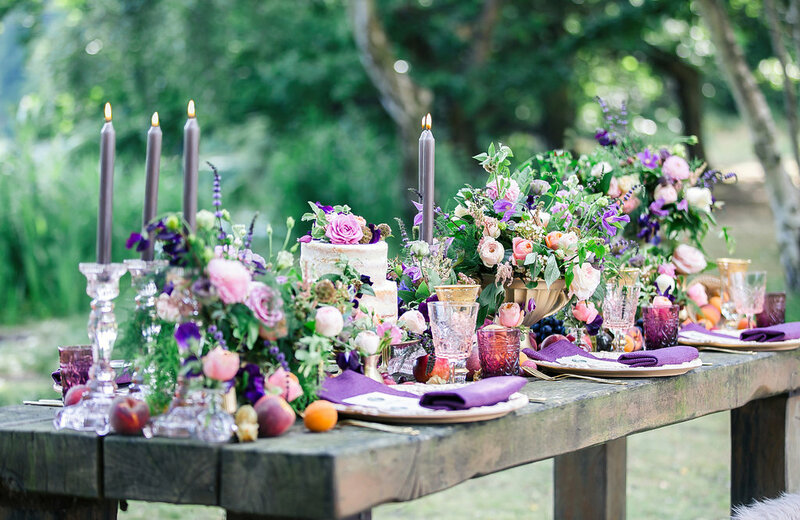 The styled shoot featured here was the perfect opportunity to put that brief into action, to add to Vic’s portfolio and therefore attract new clients who share that vision for their own wedding. Something that strikes me when I see impressive floral displays is whether or not the final outcome is an exact realisation of the designer’s initial vision. There’s no opportunity to rehearse (space, time and cost being massive factors) so how can they possibly take a concept from brief to installation without changes along the way? Even I, dealing simply with paper and pencils (and totally unaffected by unpredictable variables such as the weather), often struggle to envisage how a final illustration will materialise. I understand the elements, I trust the process, but I can’t see it completed. Victoria answers, “I always have an idea of the finished article. For larger installations, I normally sketch it out, but as I work with a natural product you can’t always guarantee things. Flowers have their own movement and flow. You have to work with them rather than them working for you – that’s really important.” I couldn’t agree more, and I love how Vic’s work embraces the natural variation, uncertainty and asymmetry of her resources. When I’m at my desk drawing, unable to see the end illustration in my mind’s eye, I often start daydreaming about how my career may unfold. How can I craft and plan and engineer my career if I can’t even imagine a finished artwork that’s in progress right in front of me? The pencils sort of take control and do their thing. I wondered if Vic experiences a similar sensation. “My career path is focused and driven by my passion for the industry, my pure love for floral design and for giving my family the best future possible,” Victoria concludes. I believe having a defined reason for WHY you are doing what you do is a critical part of the creative process. It certainly helps to figure out the HOW part. 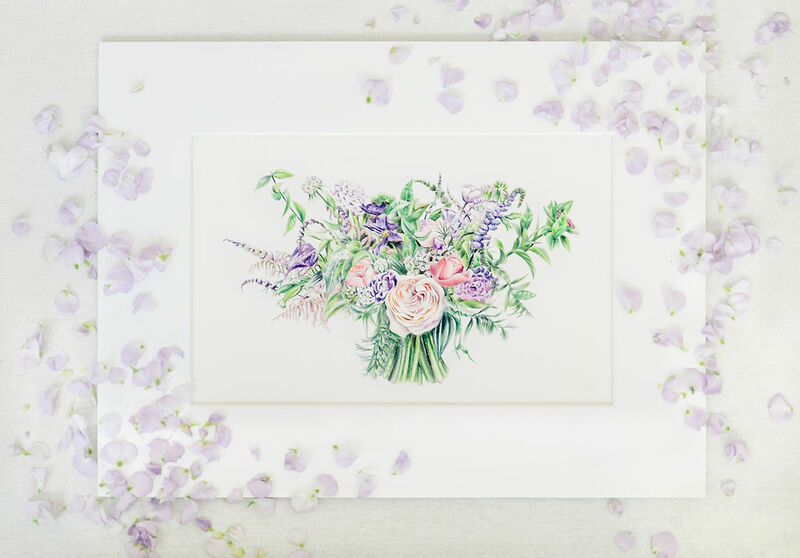 I expect in my case gaining more experience will help me to better imagine the complete creative process from brief to final illustration, as Victoria so skilfully achieves while embracing the natural ups and downs of working with a flowers. 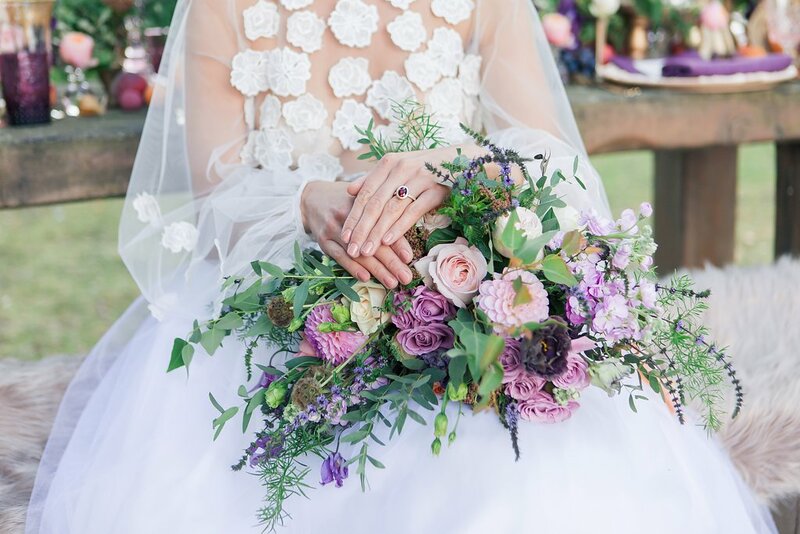 I’m grateful for the opportunity to have worked alongside Lisa and Victoria – and all the other suppliers listed below – and it is really exciting to see all these people’s specialisms work so harmoniously and be published on such a celebrated platform as The English Wedding Blog.